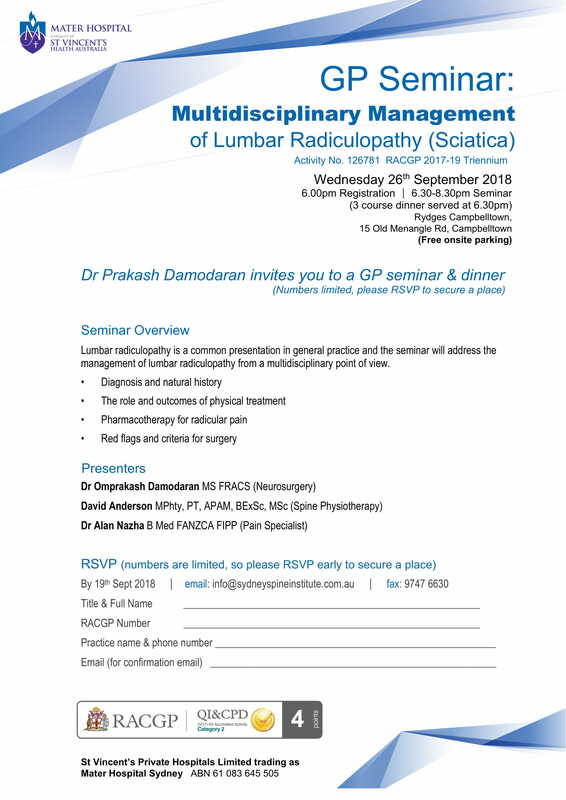 The next Sydney Spine Institute Clinical and Research Meeting is scheduled for Wednesday 18 April 2018. This talk will address a major public health issue, non-cancer pain, by providing practical short cuts for assessment of pain and monitoring of outcomes. 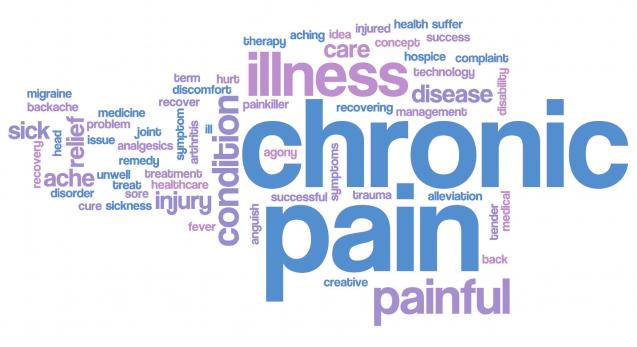 It will also provide an introduction to the 23rd May presentations on the Psychological Management of Pain to be delivered by pain psychologists, Dr Margaret Tadros and Dr Bradley Wood. 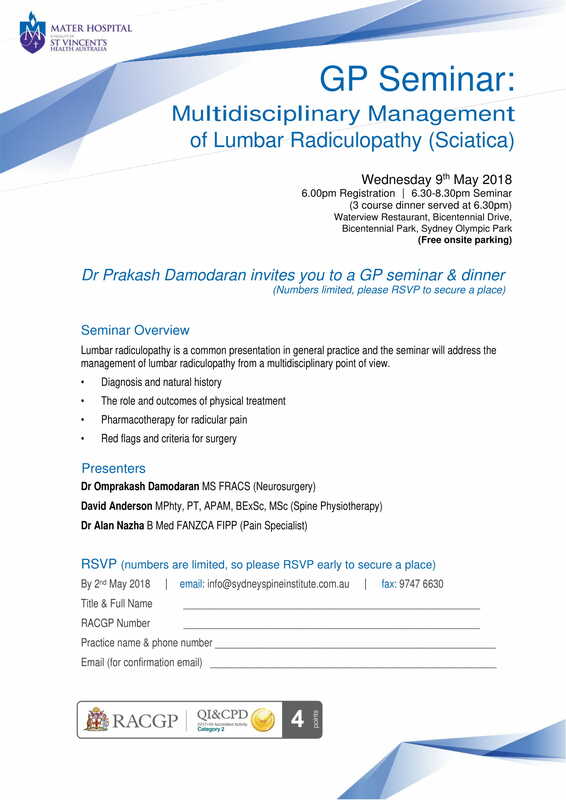 RSVP by Tuesday 17 April 2018. 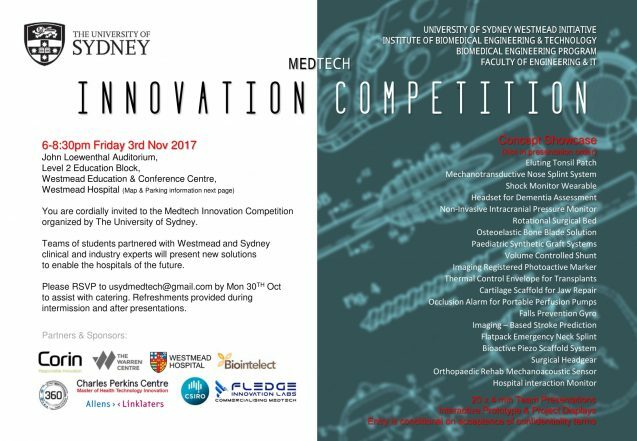 This NHMRC-funded trial will be the world’s first to elucidate the treatment effect of decompression spinal surgery for central spinal canal stenosis. 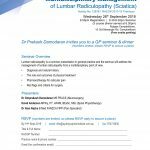 160 people with symptomatic central lumbar spinal canal stenosis, who have failed to respond to a course of conservative care, will be randomly allocated to receive either decompressive surgery or placebo surgery. The trial will be conducted in Sydney and Melbourne with leading spine surgeons. Two SSI associates (David Anderson and A/Prof James van Gelder) are involved in the study with David Anderson being the PhD student and A/Prof van Gelder an advisor and participating surgeon. *Free parking after 6:00 pm at Burwood Library (right opposite). More parking options here. 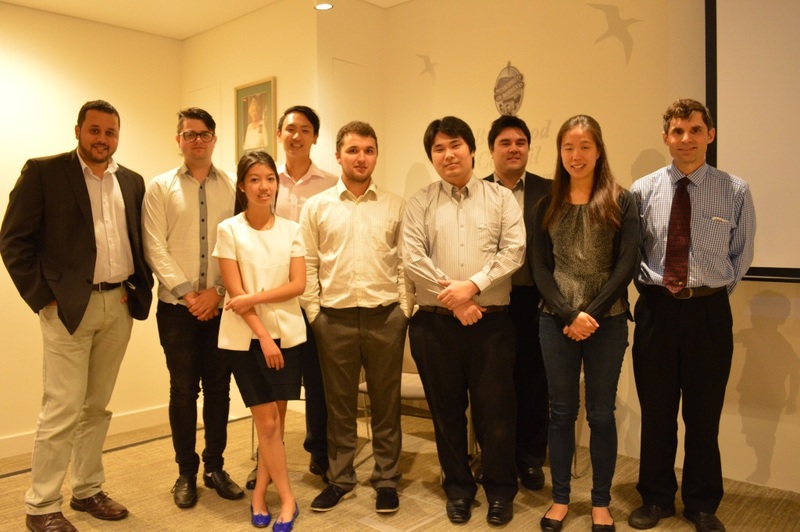 Faculty of Engineering and IT first-year PhD student Suri Susilo recently took part in the MIT Global Entrepreneurship Bootcamp, an intensive week-long new ventures leadership program attracting young entrepreneurs across the globe. Suri was able to thrive in the program and her business idea – a “smart” pillow system to optimise spine neutrality – was chosen as one of the top 25 ideas, securing her a coveted spot as ‘CEO’ in the program. 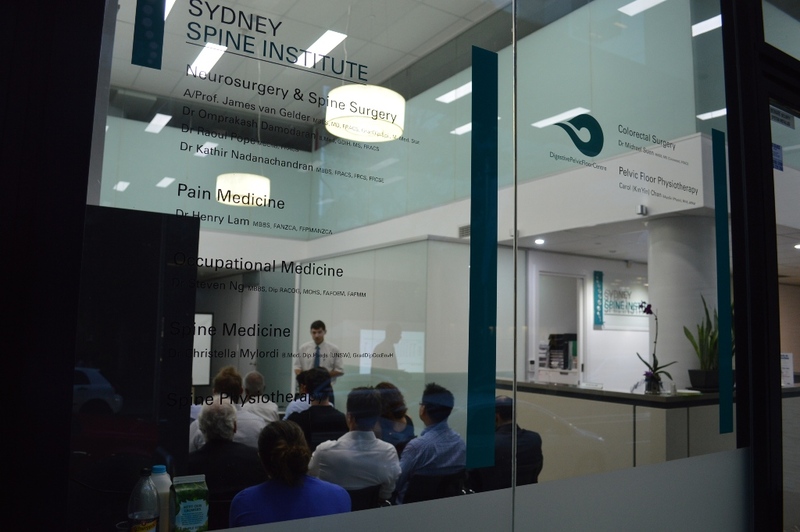 Suri has been developing her product with clinical assistance from the Sydney Spine Institute. With real-world experience and a new start-up company under her belt, she is now progressing her smart pillow concept through a PhD, also in biomedical engineering.